Get your chocolate fix, guilt-free! 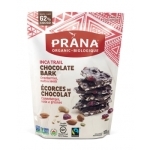 Our friends at PRANA are introducing a brand new line of Chocolate Bark that we're sure you're going to want to try! With snack lovers in mind, PRANA developed guilt-free, chocolate snacks that are as delicious as they are nutritious. Enjoy a delightful mix of nuts, seeds, and fruit covered in mouth-watering fairtrade, organic, and vegan chocolate. The new line features three dark chocolate flavors (ALGARVE Almonds & Sea Salt, CARAZEL Caramelized Nuts & Sea Salt, INCA TRAIL Cranberries, Nuts & Seeds) plus one vegan milk chocolate (NO MYLK'N Hazlenuts & Crispy Rice). 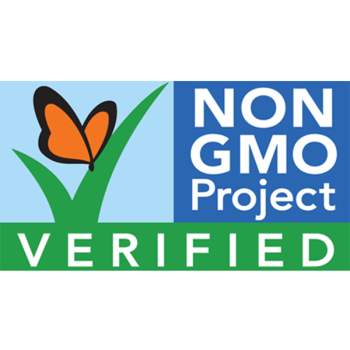 The innovative NO MYLK'N recipe is unique on the market, plus tastes just like real milk chocolate: you gotta try this! CARAZEL Chocolate Bark (100g): Dark chocolate (62% cocoa) paired with a perfect balance of sweet caramelized nuts & sea salt. Perfect for the sweet & salty chocolate fan! NO MYLK'N Chocolaty Bark (95g): Vegan milk chocolate made with rice powder (tastes just like real creamy chocolate milk) paired with a classic combo of hazelnuts & crispy rice. ALGARVE Chocolate Bark (100g): Dark chocolate (62% cacao) enhanced with finely chopped roasted almonds and a hint of fine sea salt. Simple yet indulgent. INCA TRAIL Chocolate Bark (100g): Exciting fruity notes and crunchy nutty textures heighten this delicious dark chocolaty exploration, making it a treat of choice. CARAZEL DARK CHOCOLATE BARK: 62% Cocoa Dark Chocolate (chocolate liquor, cane sugar, cocoa butter, non-GMO soy lecithin, vanilla extract), Hazelnuts, Almonds, Cane Sugar, Virgin Coconut Oil, Sea Salt. NO MYLK’N CREAMY CHOCOLATY BARK: 40% Cocoa Chocolate (dehydrated rice syrup, cane sugar, chocolate liquor, cocoa butter, non-GMO soy lecithin, vanilla extract), Hazelnuts, Crispy Rice, Sunflower Seeds, Sea Salt. 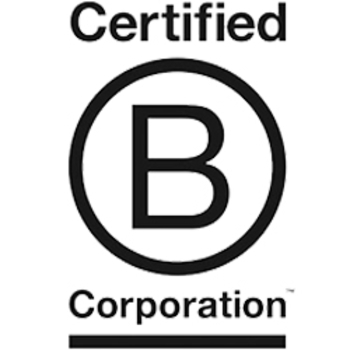 *May contain traces of milk (milk chocolate made on premises of PRANA's chocolate supplier but all PRANA products are vegan). ALGARVE CHOCOLATE BARK: 62% Cocoa Dark Chocolate (chocolate liquor, cane sugar, cocoa butter, non-GMO soy lecithin, vanilla extract), Almonds, Sea Salt. 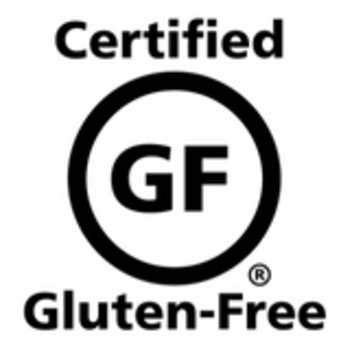 INCA TRAIL CHOCOLATE BARK: 62% Cocoa Dark Chocolate (chocolate liquor, cane sugar, cocoa butter, non-GMO soy lecithin, vanilla extract), Cranberries (cranberries, cane sugar, sunflower oil), Almonds, Cashews, Raisins, Pumpkin Seeds, Sunflower Seeds, Sea Salt. Bought the Caramel and it was delicious. Almost forgot about this because I couldn't find the product when the coupon was valid. 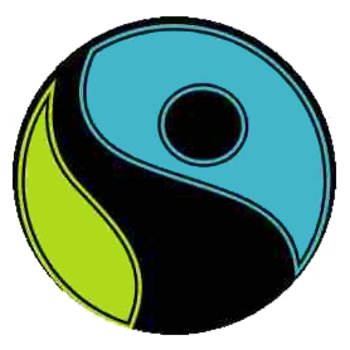 It's great that it's fair trade and because of that, you get the higher pricetag. Still, it's well worth buying as a treat. This was a little too bitter for me. I’m more of a milk chocolate lover so maybe that’s why this didn’t fit me well. Overall if you’re a dark chocolate lover, this will probably be good for you. 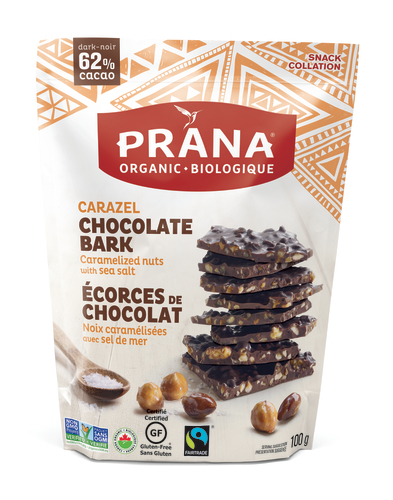 I love chocolates and its hard to find good organic chocolates but Prana chocolates are delicious.it has clean ingredients, its organic...its easily available and has few flavours too..i will definately recommend and will definately buy.please bring in more flavors.